When the kids were little I would hide Easter eggs in the house then hold a treasure hunt with clues. Each clue would lead to a bigger and yet an even bigger Easter egg until finally there was an absolutely gigantic one which we would crack into shards and share with cups of steaming hot chocolate and hot cross buns. Our family is not alone in this passion for chocolate. Apparently if you placed all the Easter eggs purchased in Melbourne each year from end to end, the line would stretch up the Hume Highway to Sydney. But all this chocolate gets expensive and most people find that even something as simple as an Easter egg hunt can cost a small fortune. And as nothing is more disappointing than poor quality chocolate, it pays to know where to buy good quality Easter eggs at a reasonable price. My husband takes a religious pilgrimage every Easter to Wallies Lollies in Box Hill North. Tucked away in suburbia this place is a find. For Easter egg hunts you can buy Cadbury solid Easter eggs, or peppermint or Caramello filled ones for around $5 for 300 grams. They also have a huge range of larger sized eggs and chocolate bunnies at great prices. Worth the trip. This may be a good spot to get your chocolate for overseas friends as they specialise in Australian inspired chocolate such as chocolate with macadmia nuts and native myrtles. 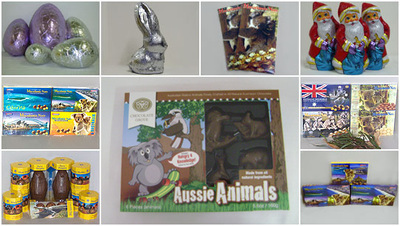 They also have Australian animal shaped chocolates. They sell eggs from 18gm through to 1kg plus all kinds of novelty rabbits such as a biker bunny and car bunny. 50 Aster Ave, Carrum Downs. Newman's chocolate outlet has been in Church Street Richmond since I can remember but they moved up a few doors last year and now have new premises which include a little coffee shop as well. 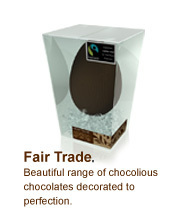 This is a definite outlet with chocolate at near wholesale prices. They also do a lot of deals round Easter with items getting progressively cheaper the more you buy. They also do attractively priced hampers. These range from about $45 up but contain heaps of chocolate. If you happen to like Easter egg chocolate, and for some reason it does taste better than other chocolate, you can buy bags of unwrapped whole Easter eggs or broken ones for $5.90 for 400 grams. Check in after Easter as well because they sell things off even cheaper. I noticed a lot of Valentine's Day chocolates selling at low prices in March. They stock Cadbury, Pink Lady, Hillier's, Newman's and Caballero eggs. They also do bulk buys like 6kg carton of 800 mini solid eggs selling for around $97 and a box of 150 "hen-size" eggs for $64.50 -- perfect for egg hunts. 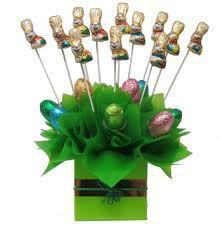 They also do custom-made Easter hampers and bouquets from $15 to $150. Factory 1, 39 Bennett St, Dandenong. The Heritage Fine Chocolates outlet has a large range of eggs, bunnies boxed treats and hampers. Some people are difficult to buy for but Heritage might just have what you need, such as diabetic eggs and nut free products. Shop 1, 883 Wellington Rd, Rowville. Keep an eye out for sales on Easter eggs from the chain stores such as Kmart, Target and Priceline. They normally have a sale at least six weeks before Easter to encourage early sales. They often have 30% off, which is a considerable saving. I understand their logic. You are sitting home watching TV and your mind turns to what's to nibble in the house. Suddenly you remember that stash of chocolate and before you know it you are ripping into it with silver foil going everywhere. Then you have to replace it all closer to Easter when chocolate is at its dearest. 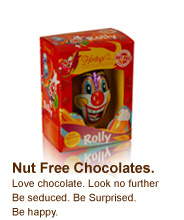 Best idea to avoid this scenario is to have someone else hide the chocolate and throw away the key. Aldi always have cheap everything. They sell chocolate rabbits for 79c. Aldi may be cheap but the Germans sure know how to make great chocolate. Wonderful article Nadine. I also like the formatting of the article. Awesome article. Genuine help in the lead-up to Easter. Just saw the sign go up on a new shop at Harbour Town Docklands, opens tomorrow, savings of up to 50%, next to the Coffee Club. very excited looks, thin its called Easter Bonanza. Thanks for that Rebekah. Glad you found it helpful. Thanks for that additional information Robbi. Note: If this article is coming up in recent weeks due to Easter the location of Wallies Lollies has changed. It is now Unit 8, 205 Middleborough Road, Box Hill South VIC 3128.